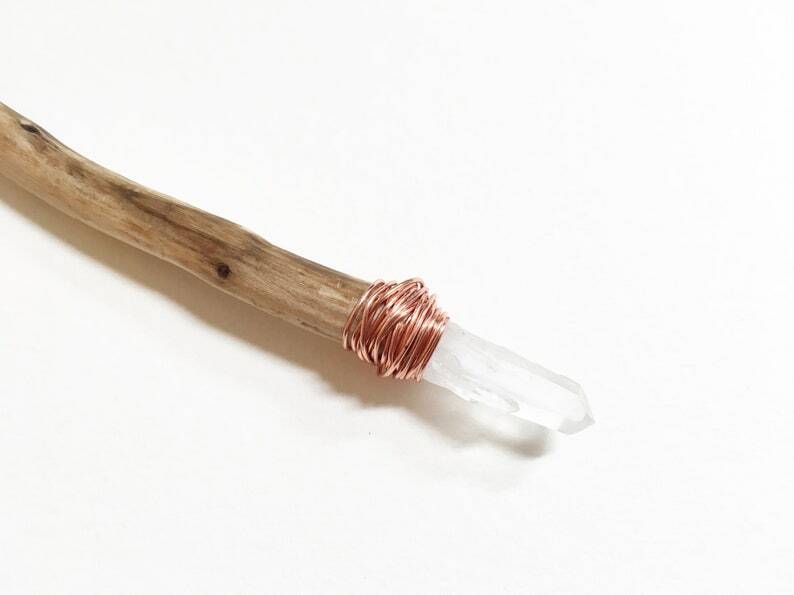 Bring some magickal vibes into your home with this one of a kind wand handmade with wild harvested white sage wood, topped with a raw clear quartz crystal and copper wire. 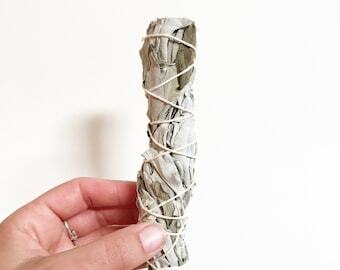 This white sage wand is made with natural wild crafted white sage wood picked with respect and care from a mature white sage plant in the hills of coastal southern California, from a branch that had fallen off the plant naturally. This wand was carved by hand, and is naturally coated with coconut oil. The wood is smooth and naturally marbled and curved. A quartz crystal tops the wand that has been wrapped with copper wire. Simple minimal design, allows the natural beauty of the wood and crystal to shine through. Wood is unfinished, but given a protective coat of coconut oil. Quartz crystal has been charged under the full moon. 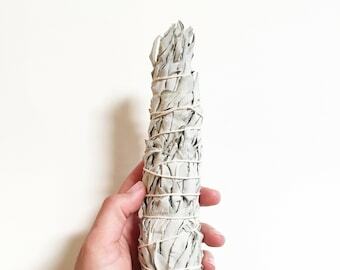 This sage wand makes a perfect altar decoration and tool. 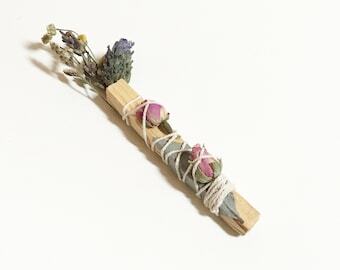 The quartz crystal and white sage wood makes this wand naturally cleansing and purifying, perfect for use in meditation, smudging rituals, and banishing spells. 1 hand carved and smoothed white sage wand topped with quartz crystal and copper wire. Wand length is 10 inches long total, and 1 cm. wide. Quartz crystal is 2 cm long and 1 cm. wide. 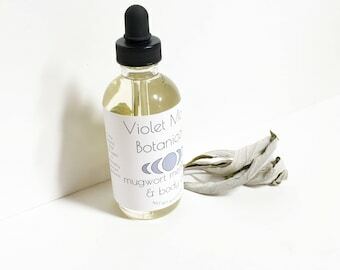 Check out my etsy home page for more white sage products, including smudge sticks, and kits as well as natural and vegan bath and body products!